This Page Contains Information About Our Regular Activities. As Always, Watch Our FaceBook Page for the Latest Breaking Information. Folkmoot - Hendref-Aarquelle (Pueblo) The first Wednesday after the 6th of each month at the Pueblo West Library. See below and on Facebook for schedules. Click here to see notes from our latest Folkmoots. Combat Practice - Hendref-Aarquelle (Pueblo) Sundays at 11:00, 17th St. Entrance of Mineral Palace Park; Bryne-Aarquelle (Salida) Thursdays at 5:30, Alpine Park (5th and F). Changes are posted on the Facebook "Populace of Aarquelle" page. Wednesday Night A&S - Hendref-Aarquelle (Pueblo) Wednesdays from 6:00 - 8:30pm, Pueblo West Library. Folkmoots are now held on the SECOND WEDNESDAY of each month , during Wednesday night A&S" at the Pueblo West library. All are welcome as we eat, socialize, and discuss Baronial business and activities. It's a great time. Watch our FaceBook page for the latest information. Click here to see notes from our latest Folkmoots. Current Meeting Time: Sundays at 11:00. The west side of Mineral Palace Park. We have heavy and light fighters on a typical Sunday. We also have loaner gear for those who wish to try out armored medieval combat. Watch our FaceBook page for the latest scheduling information. Current Meeting Time: Sundays at 9 AM (weather permitting) At the Division of Wildlife Archery Range near the south entrance to Lake Pueblo. Watch our FaceBook page for scheduling information. Held THURSDAY nights in Salida, Colorado (the "Aarquelle Highlands"). Outside during the summers, inside during the winters. Practices take a class / school approach in learning techniques, drills and history. All skill levels and drop-ins always welcome. Please post on Populace of Aarquelle or contact Piero to confirm practices each week. Held on Wednesday evenings at the Pueblo West Library. We also gather here to do A&S projects, talk shop, hold out Folkmoot, and meet new people! These dates can be used for times when a longer time frame might be needed for projects, or events. Performed as needed to teach the rest of the world about us, and what we love to do. Contact us for more information. If you wish to contact us, try our Populace Facebook Page, or our Yahoo Group using the External Links tab to the left. For best results, please add SCA or Aarquelle in the subject line of your emails. These officers are also available on the Populace of Aarquelle page, Facebook. 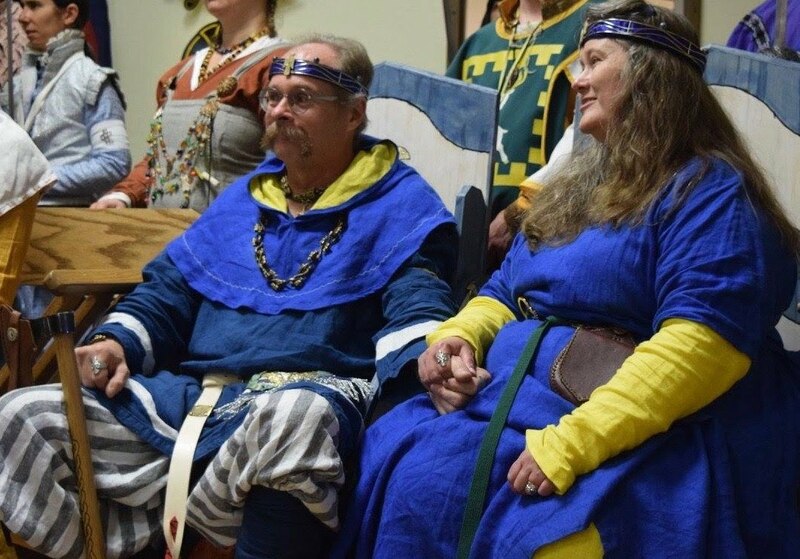 This page is held and managed by The Barony of Aarquelle, a branch of the Society for Creative Anachronism, Inc. and is considered the official presence of this group here. Questions regarding its content should be directed to aarquelle@gmail.com or to socialmedia@sca.org. Any discrepancies between the electronic version of any information and the printed version that is available from the originating office will be decided in favor of the printed version. Copyright © Shire of Aarquelle. The original contributors retain the copyright of certain portions of this site. 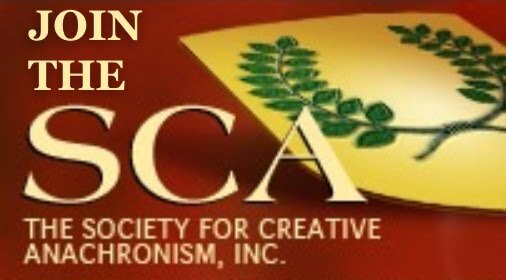 THE SCA PROHIBITS HARASSMENT AND BULLYING OF ALL INDIVIDUALS AND GROUPS. Participants engaging in this behavior are subject to appropriate sanctions. If you are subjected to harassment, bullying or retaliation, or if you become aware of anyone being harassed or bullied, contact a Seneschal, President of the SCA, or your Kingdom’s Board Ombudsman.